It’s well known how the marine bio-fouling may affect the efficiency of the vessel, causing section narrowing into pipes, flow rate reductions, and reduction of the surface available for motor cooling. This reflects then on the efficiency of engines, increasing fuel consumption and maintenance costs. The system essentially consists of hyperpure copper anodes to prevent marine fouling in pipe work strainers, heat exchangers, pumps, box coolers that cause blockage and accelerate corrosion and operate in certain open water applications. The types and sizes of these anodes are designed according to parameters which allow for the maximum flow rate encountered during sea-going service and system life. Specially manufactured anodes used to prevent marine fouling are available in a variety of sizes and equivalent anodes of all competitors can be produced upon request. Aluminium or Ferrous rods are used in conjunction to copper anodes to mitigate corrosion throughout the pipe work. On-board of ships, seawater is used for several purposes (cooling, firefighting, etc.) being an available and practical fluid. At the same time however the use of seawater can cause several problems inside the circuits, due to marine fauna and flora organic deposits (fouling, shipworms, seaweeds, etc.) and corrosion. These problems can compromise the regular functioning of the systems running with seawater, causing flow section and heat dissipation surface reduction, machinery over-heating, and corrosion rates increase. The consequence is an immediate decrease in vessel performances , or an increase in fuel consumption to maintain a certain level of performance with an increase of the gashouse outputs and leading in the worst case to the complete shut-down of the equipment. It is therefore necessary to eliminate such problems by means of an antifouling system, as it is not possible to avoid larvae and spores to enter the circuit by the only means of filtration. 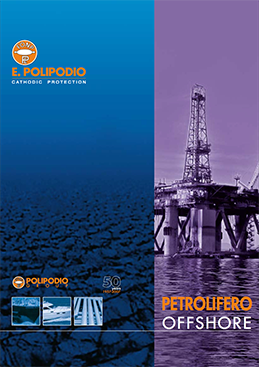 The first important approach, now strongly consolidated in the market, has led to the development of the Afoulmatic system, based on the electrolytic dissolution of hyperpure copper anodes inside the sea chest or inside the strainers in a controlled way and the distribution of the copper ions formed throughout the whole sea water circuit. 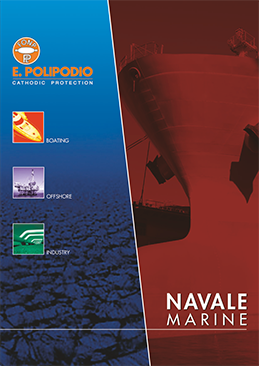 Antifouling anodes are manufactured from hyper-pure copper. They release copper ions during electrolysis in order to create an environment which discourages any minute organisms entering the circuit, and adhering in some area where they could grow and start breeding. Copper ions are carried straight through to discharge and, provided that no untreated water is allowed to enter at some point subsequent to the anodes, freedom from infestation is assured. Marine fouling and biofouling can form at all depths and temperatures and is commonly found in vessel’s seawater systems. 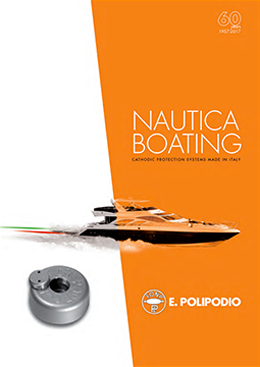 A common method of fouling prevention is the Afoulmatic system, which consists of two types of anodes: Copper rods to prevent fouling and Aluminium rods to prevent corrosion, installed on a proper structure for easy installation and replacement. This type of MGPS relies on an external direct current source to be forced into the water from wasting anodes. The system has been successfully applied to all types of offshore structures including oil rigs, oil platforms, semi-submersible and jack-up rigs using seawater for cooling or emergency fire fighting purposes. 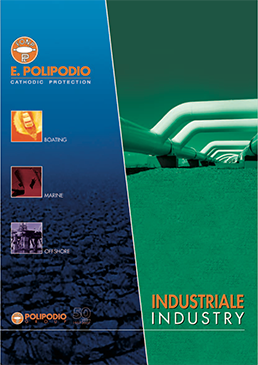 Polipodio pump protection antifouling units are designed to be mounted at the bottom of pumps, often inside the stilling tube or caisson. They consist of copper and aluminium anodes housed within a steel framework and fed with an electrical current from a control panel. The anode mounting frame acts as the cathode using a specially designed isolation unit. In cases where access to deep well pumps is restricted or difficult, anodes can be installed at deck level. They can be fitted directly within an electrolysis tank housing the anodes, fitted into the seawater pipework system.